Recommended image pixel resolution (dpi) is at least 300 x 300. 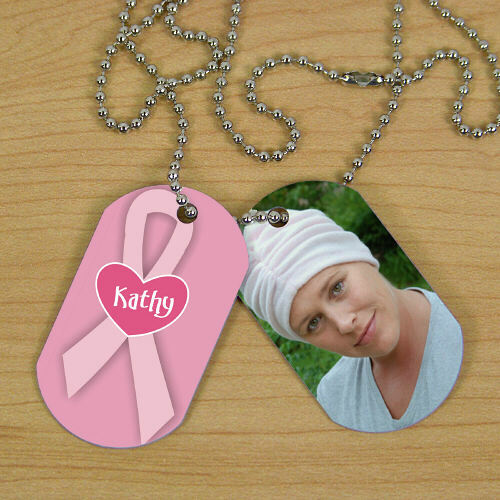 I love this product, Breast Cancer Photo Dog Tag. This is the second time I've purchased one. The first one I chipped, so I bought a new one and put a different picture on it. I put double sided tape on the two and put them together as one unit onto a chain. I wear this all the time and never take it off. It's a picture of my twin sister who passed away from breast cancer almost three years ago. I LOVED the dog tags. I posted a picture on Facebook of them and within minutes I had lots of messages begging me for the website where I had them made. Thank you! !